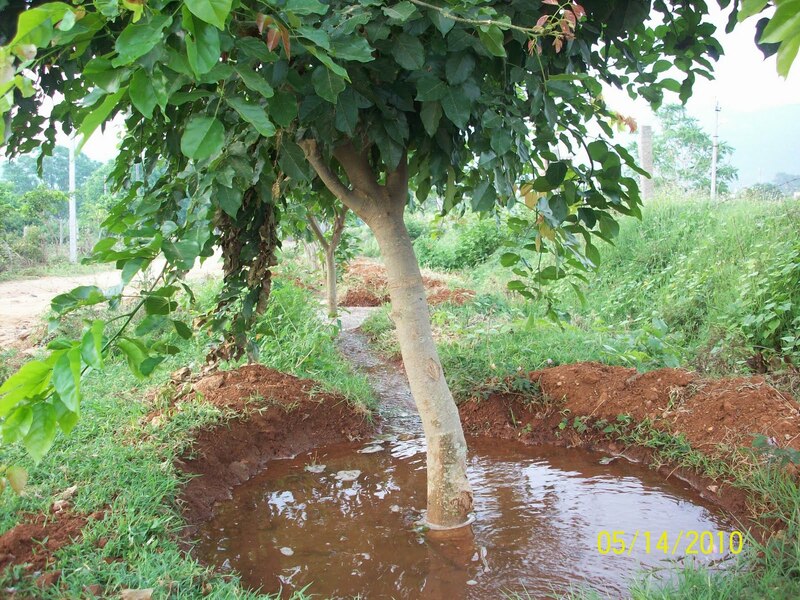 If you created a berm around your tree, fill the basin created by it with water and let it soak into the ground. Continue to fill the basin with water until it has received about 15 gallons of water. However, always check the soil for moisture about four inches down before watering. If it’s really wet, don’t water, even though the schedule says to. Water slowly. When water stops soaking in, the soil has become saturated and reached its water-holding capacity. You’re done with that watering session.